This spring has been the season of Mountain Lion sightings in the Dallas/Fort Worth metroplex. I have received an unusual number of sighting reports over the last several months. Reports have come in at a rate of one or two per week for over ten weeks now. That amounts to right around 16 unique sightings, each coming from different locations all around the metroplex. I’m not sure what accounts for this recent rash of sightings, but one thing is certain—it is not attributable the sudden appearance of big cats in our midst. A Mountain Lion in North Texas—though not entirely out of the question—would be an extremely rare occurrence. I’ve followed up on most all of the reports I have received this spring. I’ve reviewed photographs and conducted onsite investigations looking for good solid evidence. Some have been easier to resolve than others. In most of these cases the animal in question was shown to be a Bobcat. At least one or two cases may yet prove to be only a feral house cat. 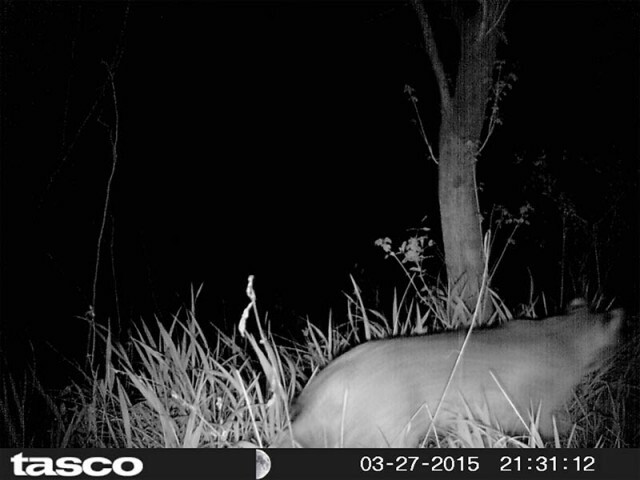 So what do you think, Mountain Lion or Bobcat? In the picture above, the key feature needed to identify this cat as a Mountain Lion—a long tail—is obscured behind bushes. Fortunately though, the cat did us the favor of standing behind a fence that makes it easy to judge his actual size. Once you determine the pickets are spaced roughly 5 to 6 inches apart, then it becomes a simple matter to deduce that this cat is actually a 3 foot long Bobcat, and not a 6 foot long Mountain Lion. Case closed! So, how does this happen? How do reasonable, rational people mistake a 16 pound house cat or a 25 pound Bobcat for a 150 pound Mountain Lion? Well, evidently its easier than you first might expect. Excitement, poor viewing conditions, and other factors can play a role in these misidentifications. Animals that project an element of danger are often perceived as being larger than they actually are. Snakes are almost always described to me as being “huge.” The same is true of spiders, Coyotes, and yes, even Bobcats. One of the most important things to recognize is that, unfortunately, people are notoriously poor eyewitnesses. Our prejudices and expectations worm their way into our memories and distort our recollections. Often only general impressions are recorded, not vivid details, and our brains try to backfill the gaps. This psychological phenomenon is well documented. For better or worse, that’s just the way we are. Our memories are flawed and suspect. The cat in the picture above certainly looks like a Mountain Lion—especially at first glance. The pose and posture seem generally correct. The distinctive cheek ruffs of the Bobcat appear to be missing. But once again the key distinguishing feature—the long tail is hidden off frame. Scale is also difficult to judge in this picture. An onsite visit was require to settle this case. Once on location it was easy to see that the animal in the photograph was not a Mountain Lion. The tree was much smaller than it appears in the photograph, and the grass was only a little over a foot tall—not the four foot tall grass that would be required if this was actually a Mountain Lion. Motion blur caused by the trail camera’s slow shutter speed explains any additional ambiguity. Blur obliterated the spots on the Bobcat’s coat and erased evidence of the cheek ruff. Conclusion? This is a picture of a Bobcat. 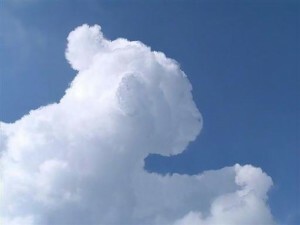 While people do not always make good eyewitnesses, one thing we are very skilled at is pattern recognition. We are so good at it in fact, that we can sometimes see familiar shapes—like faces or animals—in random patterns. 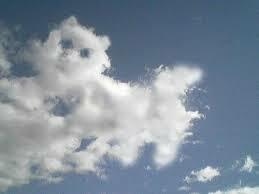 This is the basis for the timeless game of trying to find pictures in the clouds. 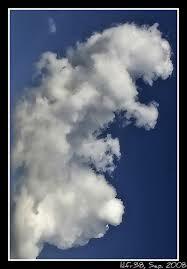 Its amazing the things you can see in the randomness of natural cloud formations. Below are some examples with a distinctly feline flair. Our old friend the optical illusion is also likely at work in many of these Mountain Lion sightings. There are probably a couple of common illusions at work. Some optical illusions can cause the viewer to misjudge actual size or distance. Others can cause you to see things that are not actually there. Below are some examples of each. Some optical illusions affect our ability to judge size and scale. Take a look at the following examples and see if you can answer the questions posed in the captions. Which white circle is has the greater diameter? In each case the answer is, neither. 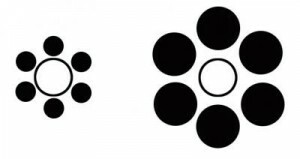 The two white circles are the same exact size. 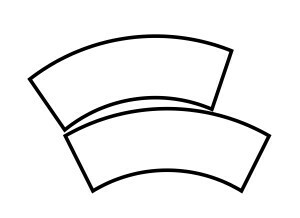 The two shapes are the same size and the two lines are the same length. Sometimes appearances can be deceiving. Another way our eyes can be fooled about size and scale is through the use—inadvertant or not—of forced perspective. Our expectations about how perspective works can affect the way we judge the size relationship between various objects. The illustration below shows this concept at work. 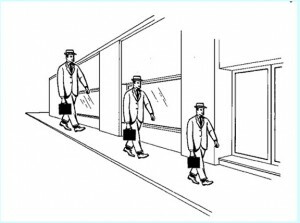 Which man do you perceive as being the largest? All three men are the exact same size. The next optical illusion is a good example of how our minds are wired for closure. 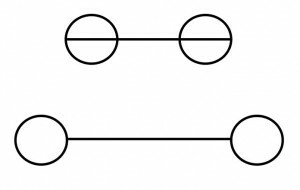 Our brains will often complete shapes and lines that are really only suggested. 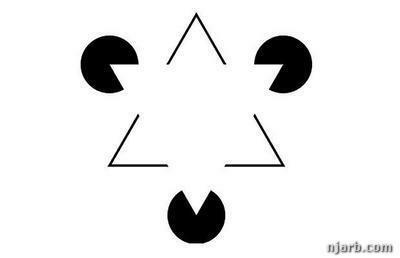 There are no triangles in the illustration below, but most people will claim to see a number of them. How many triangles in this picture? Answer: Zero! 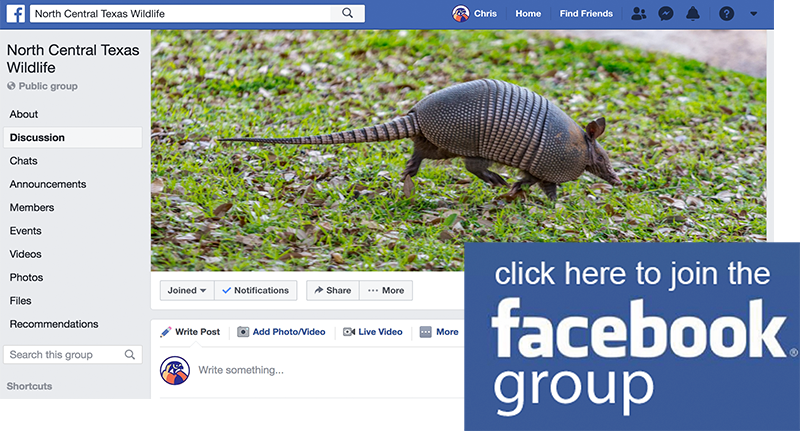 Now, this is not meant to suggest that people are seeing animals that are not really there—only that wildlife sighting often take place in front of the randomness of natural vegetation and organic landforms. The mental filling-in-the-blanks in these cases probably accounts for the of perception of features—like long tails—that aren’t really there. The picture below illustrates this phenomenon to a degree. If you look carefully at this picture, you can come away with the impression that this cat is sporting a long tail that curls up just before it reaches the ground near the cat’s back right foot. Can you see it? The highlights on the back leg combine with a dark object on the ground to give the distinct impression of a long tail. But, this cat is no Mountain Lion. I photographed this animal myself as he made his way across a large open field. This too was a Bobcat. The final case study was one of the most difficult to unravel. To one degree or the other, all of the optical illusions mentioned above are at work. 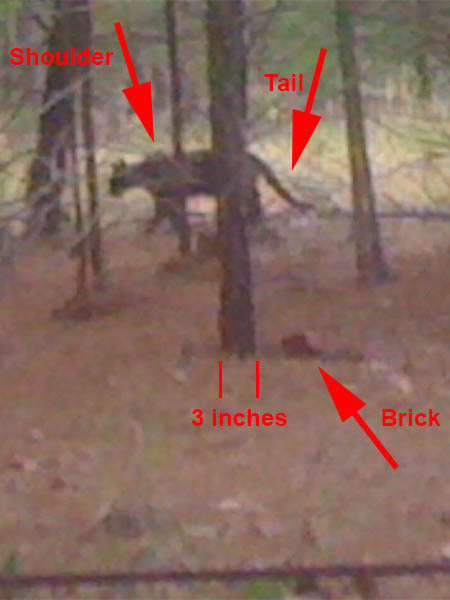 Take a look at the picture below and see what you think—is this a Mountain Lion? At first glance it does appear that we finally have our big cat. The anatomy and posture are correct. A pronounced shoulder hump and a long tail carried low to the ground are signature characteristics of the animal we are searching for. The size also looks good. But this is no Mountain Lion. The first clue that something might be wrong comes when you notice that the shoulder hump is actually an illusion created by a fortuitous juxtaposition of a tree branch. The next thing you might make note of is the half-buried brick just to the right of the tree near the center of the image. This brick helps us to begin to understand the scale of the scene we are looking at. This brick is roughly 3 inches wide. Knowing that helps us set the diameter of the tree trunk the brick is next to at 3 inches as well. The trees in this picture are smaller than they might first appear. They are saplings, not full grown pines. When you first look at this picture, you might estimate the cat is a dozen or more yards away from the viewer. In truth, he is only a matter of a few feet away. A slight rise in the terrain creates a forced perspective that makes this cat seem larger and further away than he really is. This is no Mountain Lion. This is a typical house cat! The depth of field is only a few feet deep. Not yards deep as first might be suspected. So, even though we have not yet received a verifiable account of a Mountain Lion sighting in the DFW Metroplex, I have no doubt that eventually we will get the real deal. 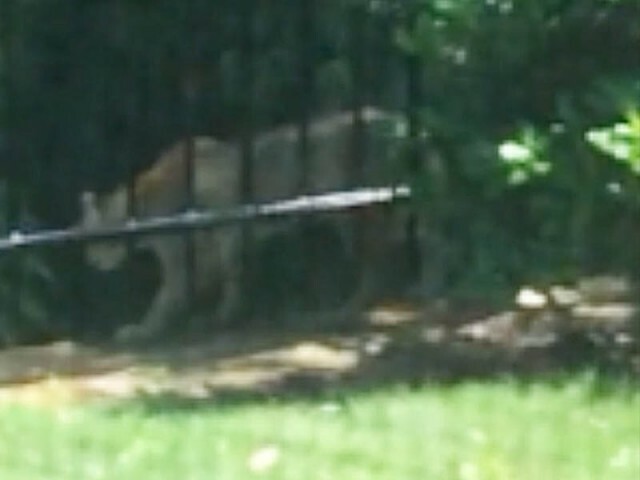 Unfortunately, an eyewitness report will not be sufficient to prove a Mountain Lion’s presence in the metroplex. Hard evidence will be needed. A picture or video recorded next to a recognizable landmark will be the best proof. A roadkill cat or good set of distinct track impressions would do the trick as well. In the meanwhile, keep your eyes open and keep the reports coming! I thought I saw a black one once, but it turned out to just be a tire. I just know that one day I’m going to catch up with you on the trail, Sam, and you’re going to have a Mountain Lion by the tail! Chris – This was a great explanation. I’m going to bookmark it for those times when people tell me they saw a mountain lion. On the other hand, in the pre-digital camera age (so, unfortunately, no pictures because we didn’t always have cameras at hand then), I am pretty certain I saw a mountain lion in the Copper Canyon area. I was sitting at my kitchen table eating breakfast when one came loping slowly across the lawn with a squirrel in its mouth. It went right by my window, about 5 feet from me. This was one of the first houses in a heavily wooded Cross Timbers area. No coloring that I noticed except for a tawny coat, no ruffs on its cheeks, a long tail, and much, much larger than any bobcat I had ever seen. We saw a lot of bobcats in the area, so I knew it wasn’t that. Several other people saw it, too, over the next week or two. It didn’t stay around long, but it did have a couple of meals of small dog and cat, I think, since one of each went missing about the same time. Keeping the faith. We’ll get one documented here eventually! 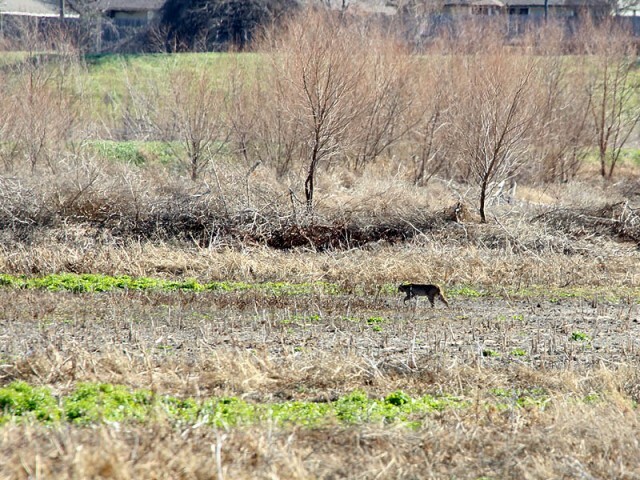 I saw a mountain lion in Murphy, TX this morning. It was chasing a rabbit in my backyard. It stopped at the wrought iron fence between my house and my neighbors after the rabbit ran through the fence. I had a good look at it. It had a long tail so I know it wasn’t a bobcat. We have a large pond, creek and wooded area a few hundred feet from my house, so I imagine that’s where it went/came from. UM……… Bob cats have very short or no tails usually a stub. Mountain Lions have long thick tails. The only photo that looks like a bobcat is the night time photo and thats only based on the fact that you can’t tell if it has a long tail and the dark patches on the ears, the rest have long tails. 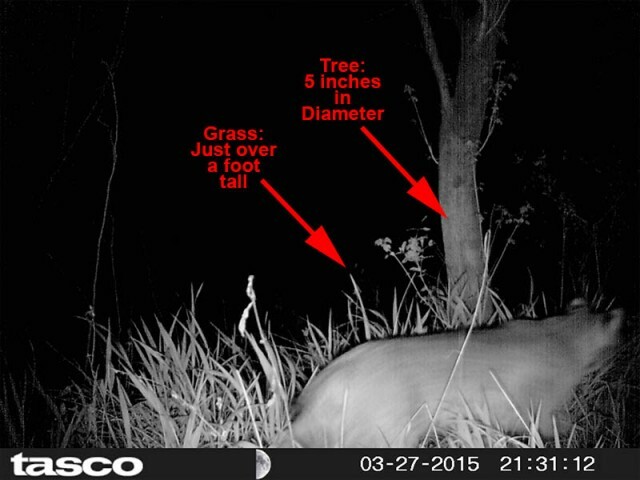 Just how big do you think Mountain Lions are? It’s very possible that they may be young mountain lions that are showing up as they search for their own territory, hence the smaller size and the sudden sightings as of late. You put a lot of effort into this which was cool to read but the only thing you need to be asking these eye witnesses is “did it have a long tail and was it bigger than a house cat?” If it’s bigger and has a long tail…BOOM you have yourself a mountain lion. I’ve seen mountain lions up close in person, and the ones I saw were about the size of an adult german shepard maybe a little bit longer and more powerful looking. Bobcats are usually about 2-3 times the size of house cats. Your image dicussing how it looks like there is a tail, it does not look like there is a tail, and it’s clear by the fur it’s a bobcat, mountain lions don’t have black speckles except when they are still cubs. Maybe in Texas things are different but here in Maine the difference is very clear between bob cats and mountain lions. We have two sightings in Maine with class 2 confirmations, (professionally identified tracks and other physical evidence) they believe they were released here and did not travel here. However we’ve got plenty of Bobcats and fisher cats. But I do agree with your suspicion of the reports as mountain lion sightings are hard to come by and often false. I was able to see them up close in an animal refuge, I’ve never seen one in the wild. 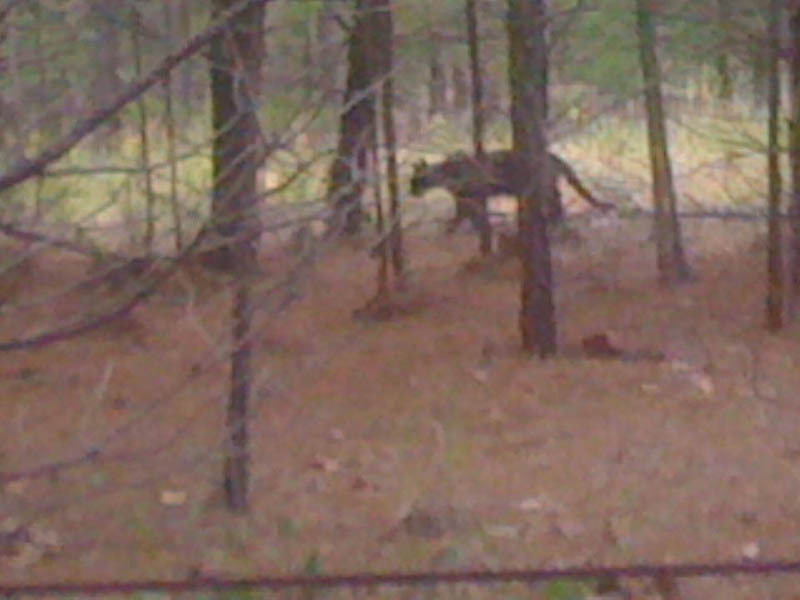 I have had bobcats and fisher cats walk through my yard though lol. So your images of the cats with long tails are not bobcats, notsyaing they are mountain lions but they are not bobcats. This is a pretty strange comment. Which of Chris’s photos do you think are of long-tailed cats and therefore mountain lions? He has carefully analyzed and explained the photos. Only one of the cats photographed had a long tail, and it was a clearly house cat. Others either appeared because of perspective and interference from other objects to have long tails but did not, or the tail could not be seen to ascertain if it was long or not. In the latter case, other evidence proved that the animal in question was not a mountain lion. Young mountain lions are physically grown before they separate from their mothers. Any cat encountered in the wild smaller than a full grown mountain lion, and not with its mother, is probably not a mountain lion. 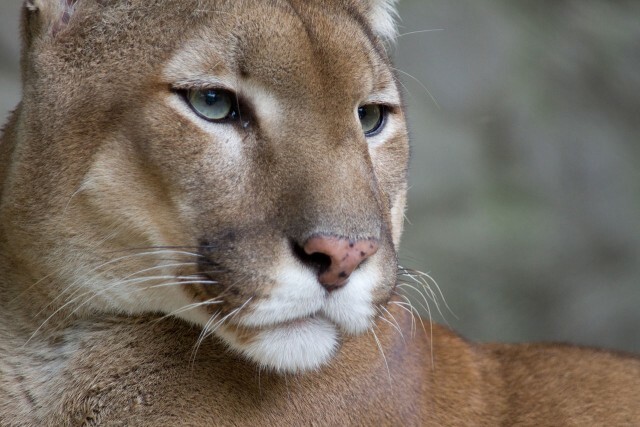 A full grown mountain lion is 3-4 feet long, body only, 6-8 feet long including the tail. Fishers, though often called “fisher cats” are not cats at all. They are members of the mustelid (weasel) family. Lots of passion surrounding this issue, David. The problem with proving you’ve seen a Mountain Lion in an area that they are not native to is that you have to prove that you’ve seen a Mountain Lion in an area they are not native to. Saying that you have seen a cat with a long tail will never be enough. A photograph near an identifiable landmark or some real physical evidence will be required. I am looking forward to your talk. My daughter who is a teacher and I had fun taking pictures of the spider covered trees last week. Then someone sent me a picture of a bob cat in the back alley close to the railroad tracks on Provincetown in Richardson. Evidently seeing him is fairly common. As to the mountain lion David Faire of David Fair First American Title had quite a shock. About 8-10 years ago he owned about 4-5 acres where his home was also located. It was quite a ways north of Plano. He returned home and found 1 of his two gray hounds with long horizontal gashes on his rib cage. The other dog joined in and the big cat took off. He had the tracks and he had obviously a big doctors bill. Probably too many changes in the environment and housing developments. It is doubtful you would fine one today. I hear there have been two sighted in Collin County Richardson this week. Very clearly mountain lions – one enormous with a very long tail and the other about half the size. It was in my neighbor’s yard. My wife and I watched what appeared to be a cougar (not a Mercury Cougar either ) cross the road in front of us when going to vote on election day. We reside near the Rhome area. I was very surprised by this sighting. How do I report a sighting. I saw one near I-35 & NW Highway. I’ve seen many bobcat around Frisco & Plano. 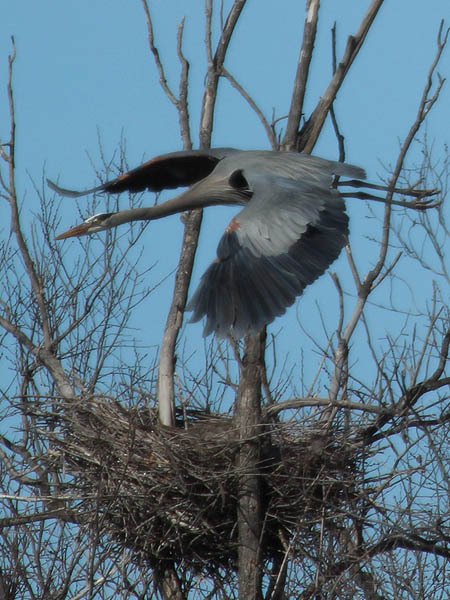 This was much larger and had a long tail & boxy head. I was on my motorcycle and hit it with my headlight. Got a good side view look. It probably came from the drainage ditch across from Studio 6 motel. It was walking towards the well lighted parking lot. About 1am. Across from I-35 is a large swampy area. My daughter and I thought we spotted one near White Rock Lake today, but didn’t have my phone on us. It was far, so I couldn’t confirm it wasn’t a dog, but it really walked and held itself like a cat and the shape was not like a dogs. It definitely had a tail like a big cat, not a bobcat – which I have seen in the neighborhood once. Also, it definitely moved like a cat and held its tail like a big cat. Not a coyote or dog. Saw a small mountain lion on the paved trail near Mccord Park in Frisco/Little Elm around 5:30pm 7/16/17. I was on a bike on the trail right next to it. It looked at me & then walked into the woods…seemed uninterested but not scared. It didn’t have spots & it had a longer tail with some lines on it. I saw a mountain lion tonight around 830 pm run across Premier Drive in Plano heading west just south of the Walmart at the corner of Springcreek and 75S. It was as large as a German Shepard, light brown and had a long tail so I am 100% sure it wasn’t a bobcat. It went under a fence into a neighborhood/backyard. Wow! Who knew? October10 2017 I saw a mountain lion on highway380 about6:30tonight approx4miles out of farmersville tx . Saw a mountain lion in my back yard in McLendon-Chisholm in southern Rockwall county Saturday morning August 4, 2018. I have no pictures but, it was light brown and as tall as our 45 lb. dog and much longer with a long tail. 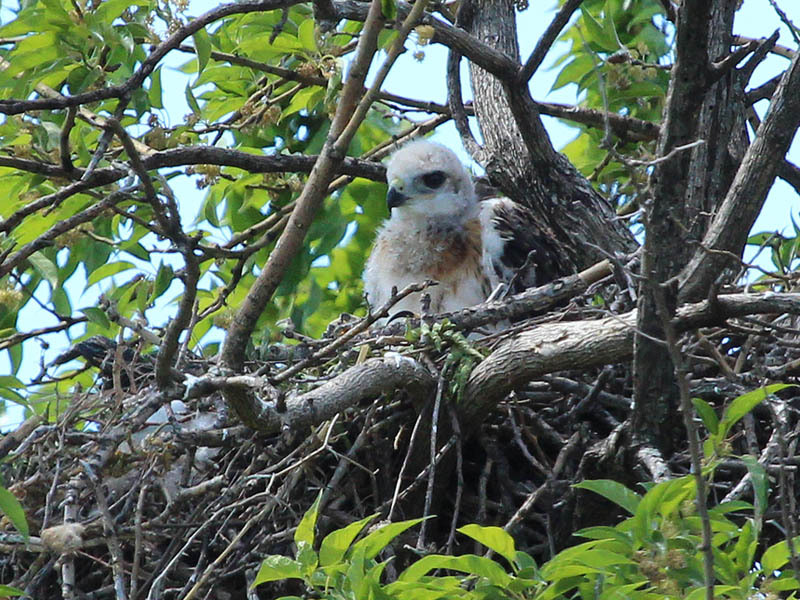 It was being harassed by a couple of mockingbirds. It was inside my field fence and easily jumped up onto and over the corner post into my neighbors tall grass. I went on a hiking/camping trip at Cross Timbers on 1/29-1/31 (Lake Texhoma) and observed a mountain lion in the early evening hours. We found large tracks crossing the trail. It was too large to be a Bobcat and it had a tail. We only saw it for a brief moment and then it was gone. We took pictures of the tracts. We just moved to this area and at breakfast today, a mountain lion strolled down our street. It walked down about four houses then up a driveway. Not sure if we should call anyone. We live in Plano and it is about a block from Radir elementary school.